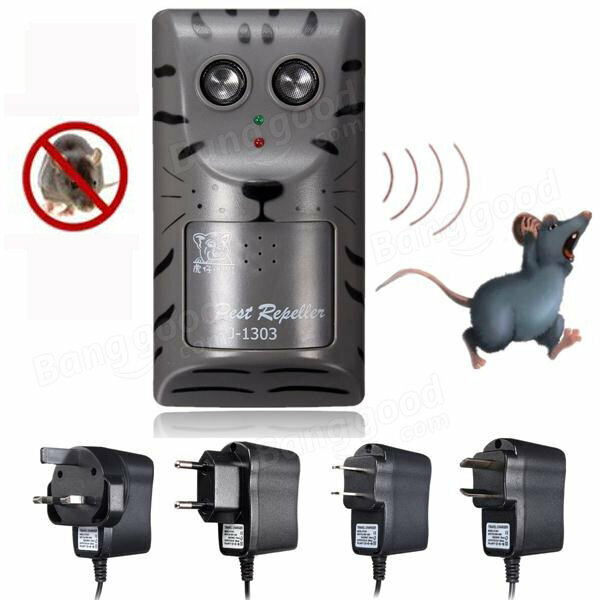 Electronic Ultrasonic Pest Rat Mouse Insect Rodent Control Repeller Anti Mole Killer Trap Bug Chaser. Turns your home's wiring into a pest repellent force-field. Simply plug into wall power socket and it'll send out electrical pulses that'll rid your home of almost any pest. It can used to rats, mice. 1. This product does not harm for human listening. 2. Since the ultrasonic is within dogs' and cats' listening competence, please keep your pets far away from this Pest Chaser.